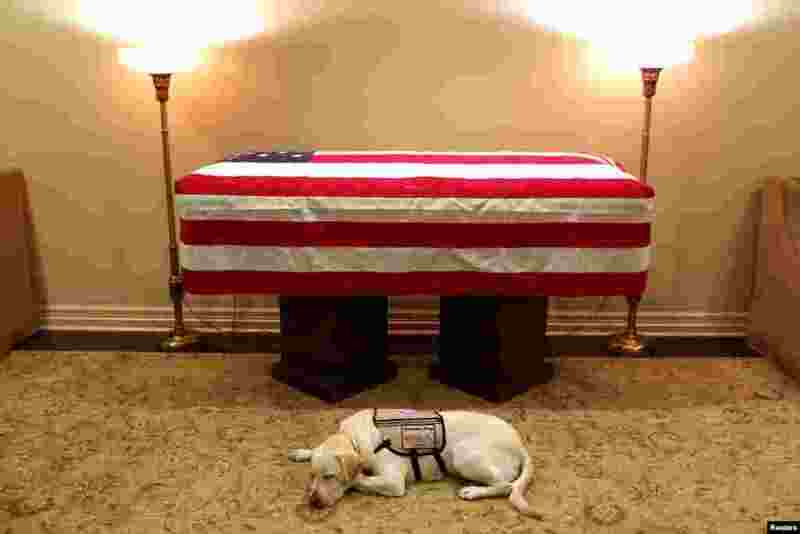 ١ Sully, the service dog of former U.S. President George H.W. 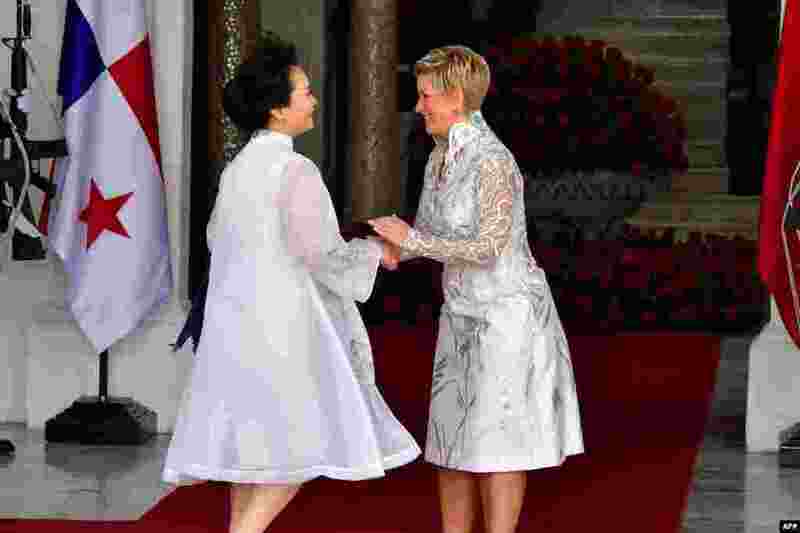 Bush in his final months, lays in front of Bush's casket at the George H. Lewis & Sons funeral home in Houston, Texas, U.S.
٢ China's First Lady Peng Liyuan (L) is welcomed by Panama's First Lady Lorena Castillo, as their husbands hold a meeting, at the presidential palace in Panama City. 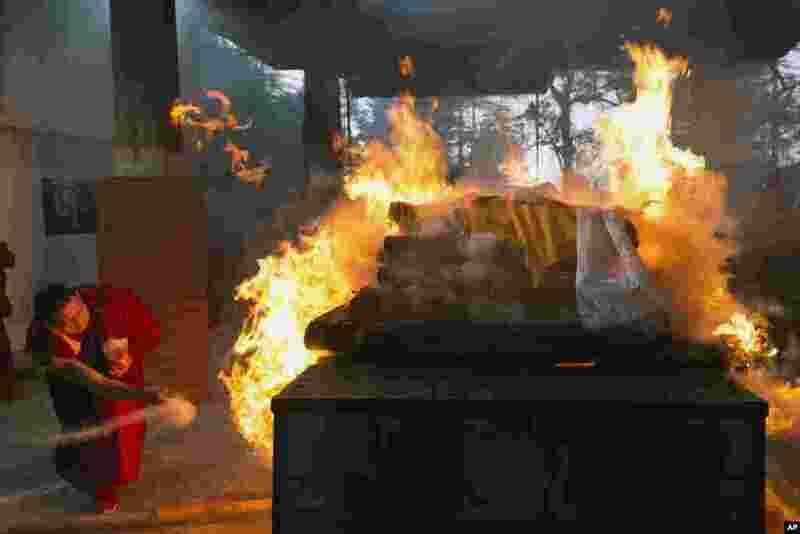 ٣ An exile Tibetan Buddhist monk throws herbs on to the funeral pyre of Palden Gyatso in Dharmsala, India. Gyatso, a Tibetan Buddhist monk who spent more than 30 years in Chinese jails, died in Dharmsala on Nov. 30. 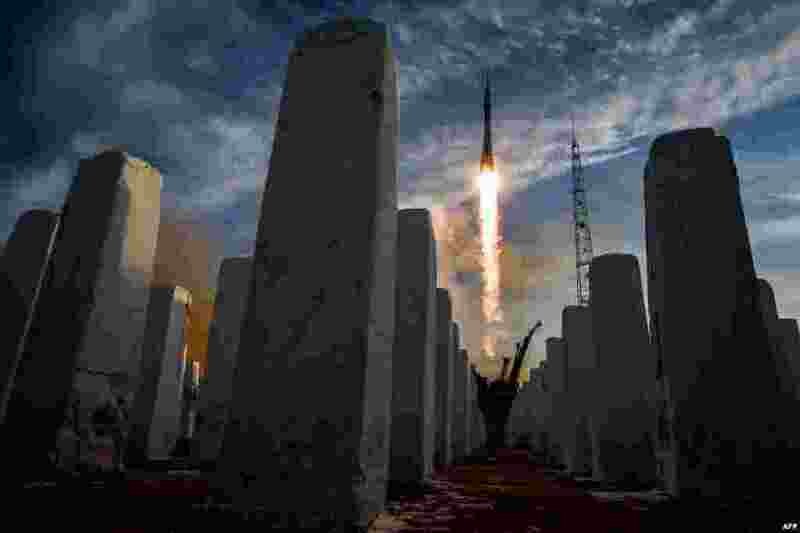 ٤ A Soyuz MS-11 rocket carrying Russian, American, and Canadian astronauts takes off from the Baikonur Cosmodrome before reaching orbit later, the first manned mission since a failed October launch.